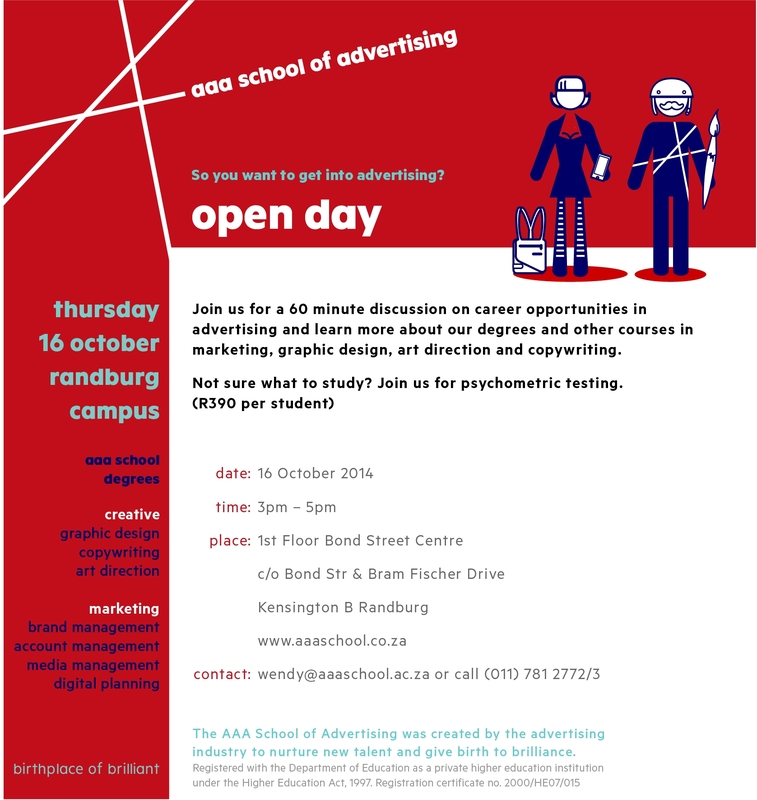 The AAA School of Advertising is hosting its final Open Day of the year on Thursday the 16th October. Come joint the 60 minute discussion on career opportunities in advertising and learn more about their degrees and other courses in marketing, graphic design, art direction and copywriting. Not sure what to study? Psychometric testing available on the day at R390 per student.